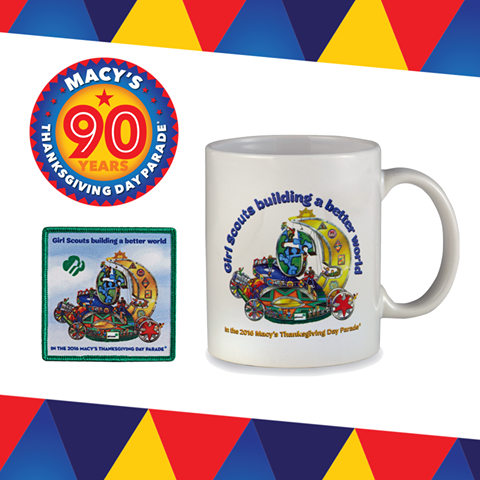 How exciting for our organization to be a part of the 90th anniversary of the Macy's Thanksgiving Day Parade! I remember watching it a lot growing up when I wasn't helping to cook, and it was a great watch before all the football, naps, and cleanup the rest of the day. 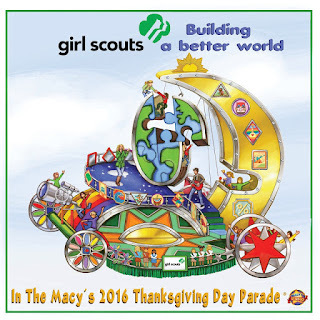 Girl Scouts has created an awesome float, and along with it, some awesome stuff you can buy to remember this great occasion. This includes a patch, magnet, and a mug. 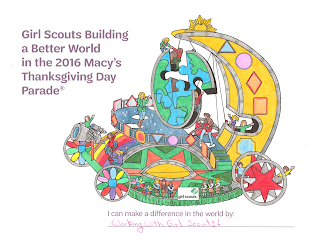 The Girl Scout float was also featured on the Today Show! GSUSA answered on their blog. Visit the Macy's website to check out who's going to be in the parade and watch some fun videos. 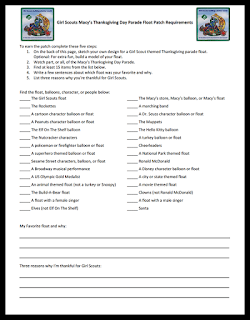 Fill out the activity sheet (shown above). Watch the Macy's Parade from 1935. Check out those differences! Watch this video to find out how they make those giant balloons. 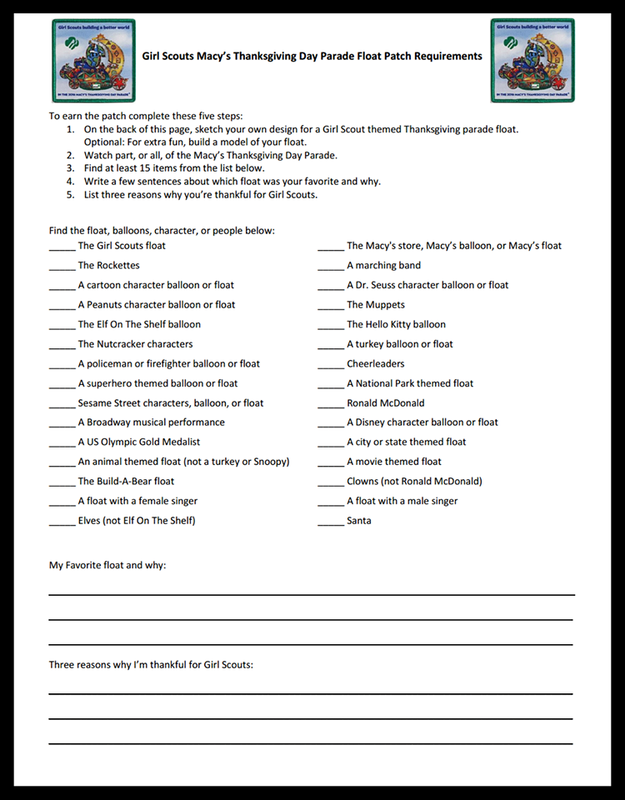 GSUSA has a few more things you can do over on their blog. Will you be updating this for 2017? 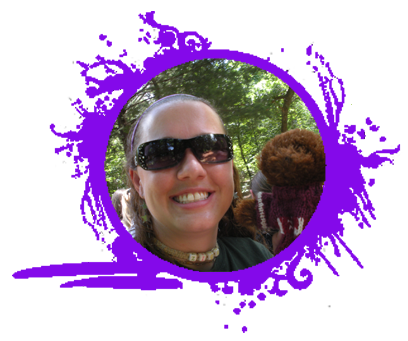 I should have a new post up a few weeks before!